Spruce up your walk-in or reach-in closet by replacing the conventional closet door with unique alternatives. Check out this list of stylish and creative options to try on your closet. The most common types of closet doors are the regular hinged doors, bi-fold doors, wooden sliding doors, and mirror sliding doors. While these traditional closet doors are great on their own, they can be too common to the point of boring. Obviously, the closet door’s primary task is to hide away clothing and clutter. But there’s also no one stopping you from considering how you can use these doors for visual impact. This is especially important when decorating small bedrooms where every inch of space should be utilized. Scroll down to breathe in some decorating inspirations and tips. If you are looking for an idea that is a bit more unique than a typical door for your closet, then you can consider curtains. Curtains are going to be able to do exactly what you need them to do. They will hide the contents of your closet from prying eyes and will generally look nice. You’ll always have easy access to the items inside of your closet, and you’ll be able to find curtains that really suit your personal sense of style. Curtains are a very versatile idea because there is just so much that you can do with them. You’ll be able to use curtains to add to the overall aesthetics of your room. You can find curtains in any combination of colors that you want, so it will be easy to find something that will suit your needs. Just take the time to pick out the right curtains for your room, and you’ll have a great closet door alternative. Putting up curtains is incredibly easy to do. You won’t have to go to a lot of effort to put the curtains up, and they will look really nice overall. You’ll be able to pick out a great color combination that you will enjoy. This will always give you easy access to the closet, too, so it’s just a convenient closet door alternative to think about. There are those who think that using curtains in place of a door is unnatural. It may not fit in well with the décor of your room, depending on how you have everything set up. For most people, this option is going to work out nicely. You can adapt things to make the curtains look the best that they can, too. Bead doors may not be as common as they once were, but they are gaining in popularity among certain demographics. If you have never heard of a bead door before, then you should know that it is essentially strings of beads hanging in a doorway. This creates a little barrier between rooms that are actually really eye-catching. In this case, it will be acting as a barrier between your bedroom and the closet. When you use a bead door as a closet door alternative, you will be able to easily access your closet at any time. Just push the beads out of the way, and get whatever you need to grab. It’s a simple solution and it will appeal to people who are looking for something outside of the normal options. Bead doors come in a variety of different colors and styles, too, so you’ll be able to find some pretty interesting options if you do a bit of looking. There are a bunch of different styles of bead doors, and you will really enjoy the variety of colors. If you want to pick out something that will really stand out in your room, then it will be simple to find some beads to fit the bill. Some bead doors even come in crazy patterns that are really impressive. Whether you are looking for a solid color or something wilder, you’ll be able to find it by going with a bead door. Installing a bead door is very quick, so it’ll be an appealing method for those who are trying to get this over with fast. You might wind up finding the beads to be a bit annoying. If you are standing in your closet trying to decide what to wear, you’ll have to constantly hold the beads out of the way. This is kind of counter-intuitive and may be a good reason to go with another option. Many people are not bothered by this, though, so you may feel differently about this. Using a pocket door for your closet area might wind up working out nicely. If you would like to save some space, then you will be able to make good use of a pocket door. The biggest benefit of a pocket door is that it can fit right into your wall. In order to install this type of door, you will need to make an alcove for the pocket door to fit inside of the wall itself. Installation of a pocket door can be a bit more involved than hanging a traditional door. Even so, this method is very appealing. You’ll be able to move the door out of your way completely, and this will give you full access to your closet when necessary. Pocket doors are nice, convenient, and they actually aren’t even too expensive. Using a pocket door will allow you to save some space. 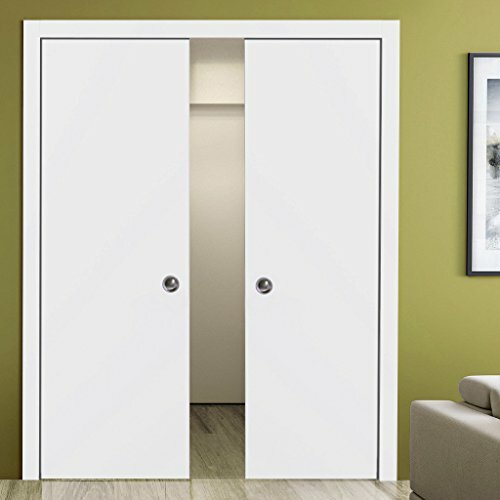 If you are living in a home that is a bit on the small side, then you should be able to see the benefit of a pocket door. You might not want a normal closet door that swings out, and the pocket door being able to disappear into the wall will be convenient. You’ll be able to use your closet easier, and everything will look really good when you are finished with the installation. You might wind up feeling like it is a pain to install your new pocket door. As mentioned above, the installation process of a pocket door is a bit more involved. This may wind up being too annoying for you to want to go through with it. If you are somewhat handy, then it might not be a problem. Swing doors can actually make for really interesting closet door alternatives. You will also see these doors being referred to as cafe doors or saloon doors from time to time. They swing outwards and will only partially cover your closet area. They can add a very interesting flair to your bedroom area if you decide to make use of them. 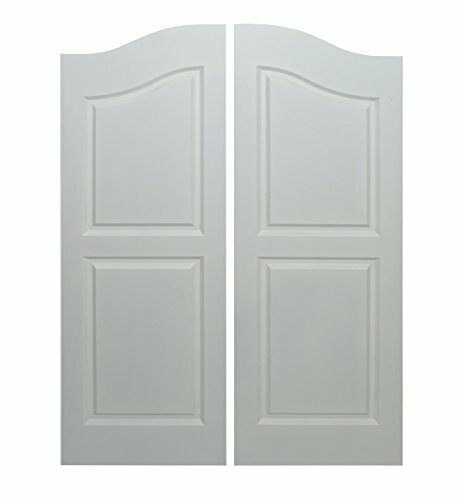 One of the most appealing aspects of these doors is that they will make getting into your closet easy. Simply swing them open whenever you need to grab some clothes. You can even enjoy the fact that these doors will be capable of closing themselves. The swinging doors being shown here also come with an option that will hold them open, so you can enjoy having these doors both ways. You should be able to buy swinging doors without having to spend too much of your money. The doors being shown as an example are very cost-effective and look really nice. Installation isn’t too difficult, either, so it will be an option that won’t take up too much of your time. You’ll be able to get things ready in no time at all. This type of door is very interesting looking, but it may not be a good fit for every room. It would look quite unnatural in certain settings and may not always be desirable. Aside from this, there are those who don’t like that it doesn’t cover the entire closet area. You will need to enjoy the quirks of these types of doors to be able to make use of them to the fullest. You will also find that some people simply use room dividers in the place of traditional closet doors. If you want to be able to hide what is in your closet without needing to hang a door, then this option will appeal to you. A room divider will stand on its own and can act as a barrier between your closet and the rest of your room. You will be able to go behind it to access the closet whenever it is necessary. Room dividers are popularly used in many areas of the home. People often use these types of room dividers to give themselves a bit of privacy, even in cramped spaces. It can allow people to change in private and is a generally useful thing to own. They aren’t necessarily common in every home, but the people who do make use of them like them quite a bit. 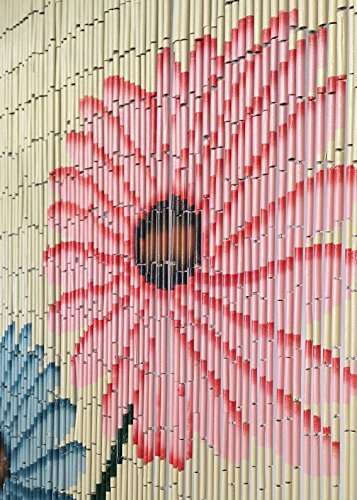 It won’t take a lot of money to buy a stylish room divider. There are many different room dividers that you can peruse, and you’ll definitely find one that suits your sensibilities. If you want to find a closet door alternative that is both affordable and visually stunning, then this is a great option to consider. You won’t even have to install anything as it will just stand in front of your closet. This is basically an option that will be hiding that you don’t have a closet door. This will bother some people and won’t necessarily be the ideal solution. Granted, no one will be able to see that there is no closet door, but you will know that you have nothing there. It can still work just as well, but it might not be the most appealing option for you.